Around 30 years ago Ekimov and Efros discovered what is today known as quantum confinement effect: the strong dependency of the optical and electronic properties of semiconductors when reducing their size to the nanoscale. Around ten years later, Murray, Norris and Bawendi developed a chemical synthesis method for the preparation of quasi monodisperse CdSe, CdS and CdTe nanocrystals. Since then a lot of research has been devoted to the understanding of the photophysical properties of quantum dots. In parallel their applications in different fields has been proposed. Their efficient, size-tunable photoluminescence is exploited when using them in light-emitting diodes, giving ultimately access to lighting with better color rendering properties and displays showing more vivid colors. Their high photostability combined with the possibility of surface functionalization to introduce additional functionalities (e.g. tumor targeting, cell penetration, multiple detection) make quantum dots very attractive fluorescent probes for biological imaging or sensing. Finally, their strong light absorption and solution processibility open the way for their integration in thin film or nanostructured solar cells. In this seminar, I will give a short introduction to the different fields mentioned above and illustrate them with examples coming from research efforts of our team. 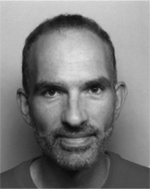 Peter Reiss is researcher at the Institute of Nanoscience & Cryogenics, CEA Grenoble, and Head of Laboratory of Molecular, Organic and Hybrid Electronics (LEMOH). He graduated (1997) from University of Karlsruhe, Germany, where he also received his PhD in inorganic chemistry (2000). He received his habilitation (HDR) from Joseph Fourier University Grenoble (2008). His research activities focus on i) the development of synthesis methods for different kinds of colloidal nanocrystals as well as for core/shell systems; ii) the surface functionalization of nanocrystals by tailor-made ligands resulting in novel nanoscale building blocks; iii) the assembly of these building blocks into structurally controlled functional materials for optoelectronics. The aimed applications range from the design of fluorescent biological labels over the development of efficient emitters for LEDs and displays to new strategies for nanocrystal based solar cells and thermoelectrics.